"UW’s Mercer Court aims to keep students socially connected"
"5 tips to help districts with their long-range plans"
"Skills centers making inroads in Washington"
"Schools can stretch facilities budgets by embracing technology"
"Laser scanning: a powerful tool for school projects"
"Portables aren’t the last word in modular schools"
"School contractors face new scrutiny from taxpayers"
"Schools face pressure to keep up with tech trends"
"Online learning will have lasting effect on campus spaces"
Online learning and project-based work ease space needs by letting students log in away from school or by making better use of existing classrooms. 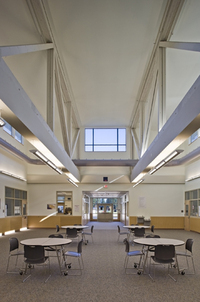 Factory-built schools can save time, money and reduce waste without shortchanging design. Communities want top-notch buildings that don’t bust the budget. 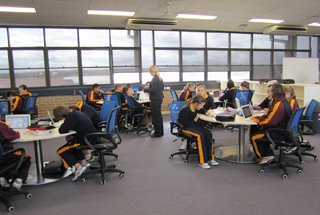 A GC/CM approach keeps a lid on expenses. 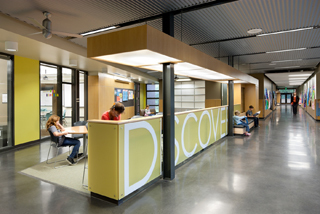 Meadowdale Middle School in Lynnwood, designed by Integrus Architecture. 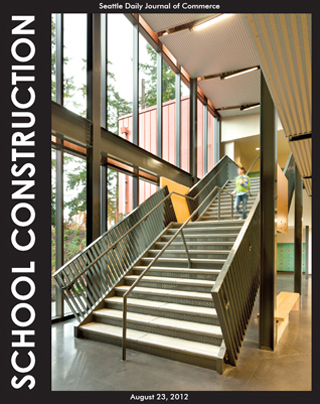 Skanska was the general contractor/construction manager.